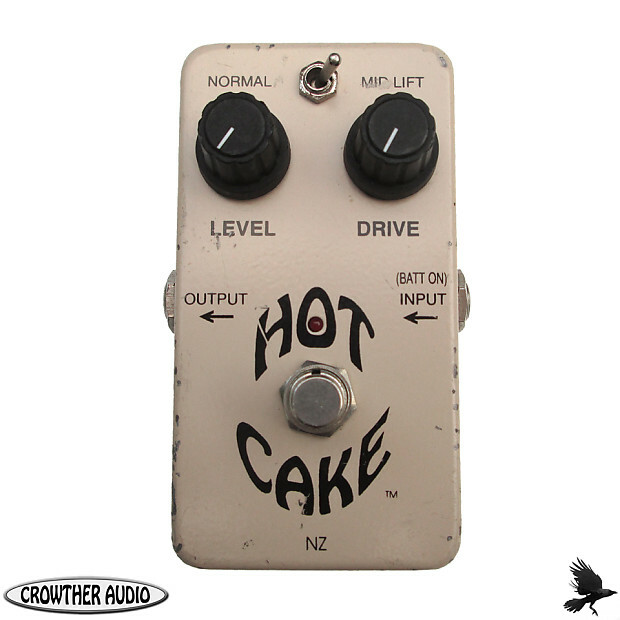 Vintage 1996 Crowther Audio Hotcake overdrive pedal, made in New Zealand. 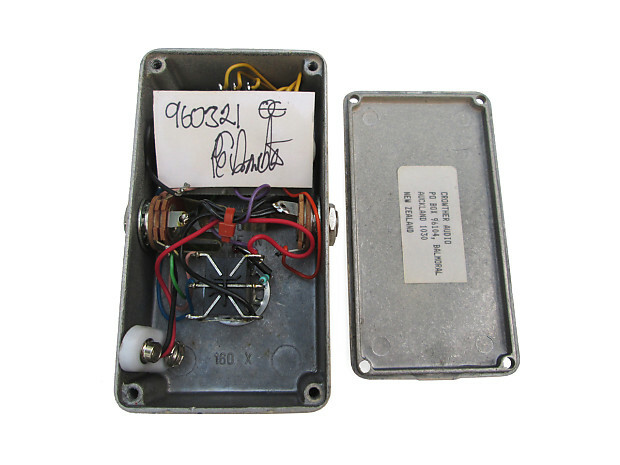 This is a rare to find old circuit model with the Mid-Lift switch; prior to the Presence switch and later Presence three-knob circuit versions which came in during the early 2000's. 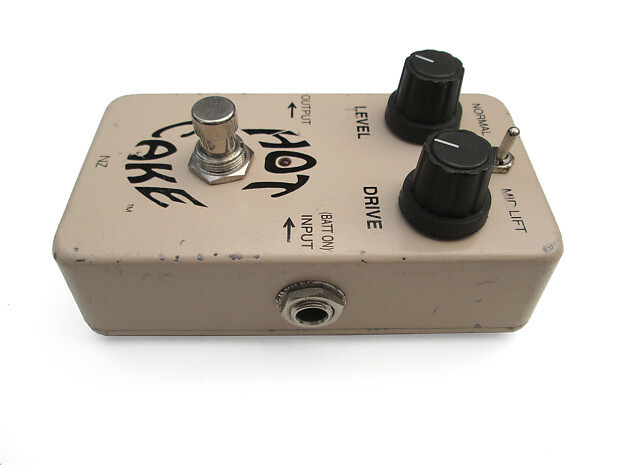 Hotcakes in the 1990's and prior were not generally sold through stores; being primarily a special order product direct from Crowther Audio. Bands visiting New Zealand on tour would regularly buy one in person from Paul Crowther. The "Mid Lift" circuit Hotcakes sound considerably different to the "Presence" circuit models; notably warmer and thicker in comparison. 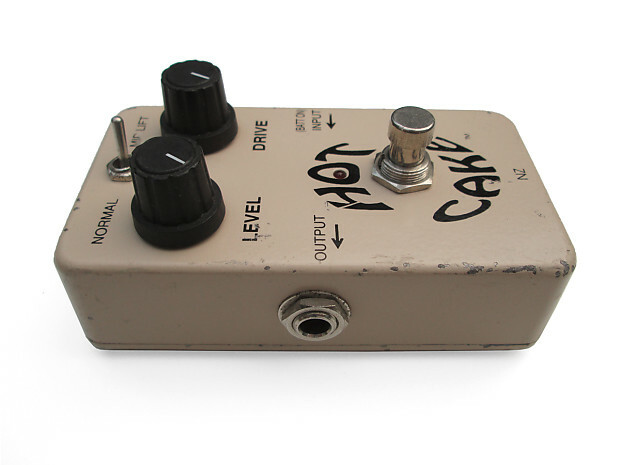 At full gain you can approach something near a Big Muff - but with much better definition. While at the lower settings you can effectively achieve a straight clean boost. 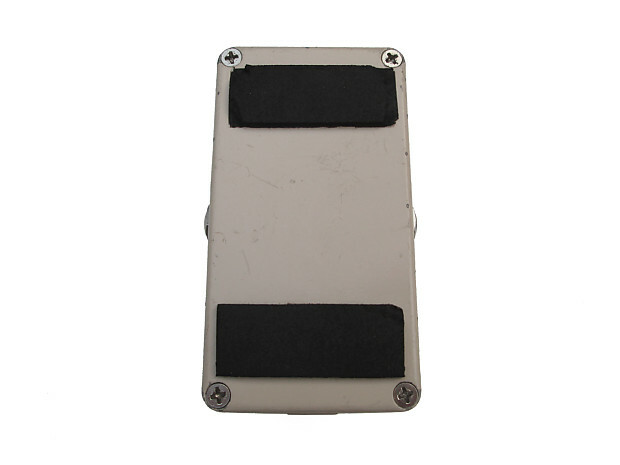 This is a pre-DC socket model, and so is 9V battery-only operation. The first DC sockets came in around late 1996 or 1997. Perfect operation and good condition. Sold as described and pictured. Ships worldwide at the rates listed. Tracked shipping is available worldwide. See individual listings for item rates. Countries with postal services that do not include tracking on standard air mail parcel shipping may be required to pay extra for courier freight or EMS express post.